Business owners may not require full-time help or be able to hire a the number of people necessary to handle the variety of skills required to provide adequate accounting support. Accurate accounting, reporting, and analysis are crucial however to making informed decisions and guiding a successful business. 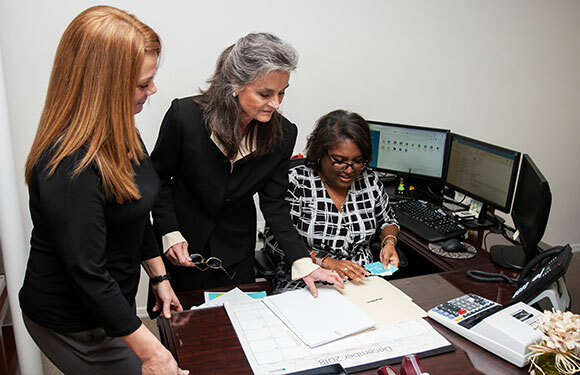 Updegrove McDaniel McMullen & Chiccehitto, PLC’s (UMMC) Team has top-quality professionals with a wealth of expertise who will support your business’s accounting and reporting requirements at a level and frequency necessary to achieve successful results. QuickBooks is an ideal accounting solution for most small- to mid-sized businesses. Updegrove McDaniel McMullen & Chiccehitto’s experienced team members are certified QuickBooks ProAdvisors. We will set up your accounting system for you and provide ongoing monthly, quarterly, or as-needed support. Our certified ProAdvisors are glad to come to your office and work with you or members of your staff. Once QuickBooks Accounting is set up, UMMC can update and maintain your QuickBooks file by simply sending it to us via a password-protected email or through our secure web portal. Outsourced CFO Services include a variety of services needed by clients who do not have a controller or CFO on staff but want the value provided by those types of employees/advisors. Updegrove McDaniel McMullen & Chiccehitto, PLC can provide you with support at a level and frequency necessary based on your needs and resources. Contact Updegrove McDaniel McMullen & Chiccehitto, PLC in Leesburg at 703.771.1818 or in Warrenton at 540.347.5681 to discuss how we can bring value to your business.